Omar is the author of over a dozen books and video courses, as well as numerous white papers, articles, and security configuration guidelines and best practices. Omar is a principal engineer of the Cisco Product Security Incident Response Team (PSIRT), where he mentors and leads engineers and incident managers during the investigation and resolution of cyber security vulnerabilities. Additional information about Omar’s current projects can be found at omarsantos.io, and you can follow Omar on Twitter @santosomar. Joseph Muniz is an architect at Cisco Systems and security researcher. He has extensive experience in designing security solutions and architectures for the top Fortune 500 corporations and the U.S. government. Joseph’s current role gives him visibility into the latest trends in cyber security, from both leading vendors and customers. Examples of Joseph’s research include his RSA talk titled “Social Media Deception,” which has been quoted by many sources (search for “Emily Williams Social Engineering”), as well as his articles in PenTest Magazine regarding various security topics. Joseph runs The Security Blogger website, a popular resource for security, hacking, and product implementation. He is the author and contributor of several publications covering various penetration testing and security topics. You can follow Joseph at www. thesecurityblogger.com and @SecureBlogger. Stefano De Crescenzo is a senior incident manager with the Cisco Product Security Incident Response Team (PSIRT), where he focuses on product vulnerability management and Cisco products forensics. He is the author of several blog posts and white papers about security best practices and forensics. He is an active member of the security community and has been a speaker at several security conferences. Stefano holds a B.Sc. and M.Sc. in telecommunication engineering from Politecnico di Milano, Italy, and an M.Sc. in telecommunication from Danish Technical University, Denmark. He is currently pursuing an Executive MBA at Vlerick Business School in Belgium. 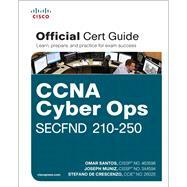 He also holds a CCIE in Security #26025 and is CISSP and CISM certified.